Store Hours: Monday-Saturday 6:30 a.m. - 10:00 p.m.; Sunday 8:00 a.m. - 8:00 p.m. Contact Piggly Wiggly, Homewood for a special order at 205.879.0884. 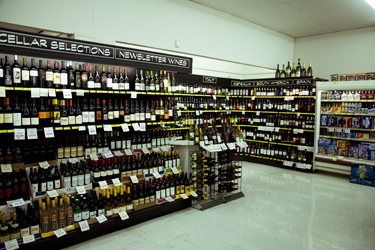 Almost any wine that is available in the Birmingham market at competitive pricing, in singles or in bulk. We offer a 10% discount on case (12 750 ml bottles or 6 1.5 mag bottles) purchases and 5% half case (six bottles) discounts. This discount applies to mixed cases (not all the same bottles) and solid cases. Whether you're having a casual party, elegant dinner, or just looking to have a glass of wine when you get home from work, we have wines to fit any occasion and if you're interested in having a private tasting in you home, well we can take care of that too!